It is an undeniable fact that there is a strong competition in the world when it comes to marketing. There are new brands and new companies opening up every day and all of them struggle hard to create brand awareness. People use all the possible tactics and techniques in order to market their brand to a wider extent. The most common and effective technique they use is the outreaching service like the iNet Ventures. These services really help in marketing a brand and they are trending at the moment. The reason that you are reading this article is probably because you want to create awareness and promote the services you offer. Well, don’t worry because we are here to help you. Today in this article we are going to jot down the 4 effective ways to get your brand promoted. Social media is just like a hub for marketing and brand awareness. People spend half of their time using Facebook, Twitter and other social media applications. You can take advantage of their time online and market your brand by creating a Facebook page or a Twitter account. You simply need to focus on the content of your page, explain your brand/services in a proper and clearer way. This way more and more audience will check your profile and hence they will contact you which is all you want from your customers. If you think that your services or your company is something big then you need to hold an event. Don’t worry about the invitations for the event because Facebook and all other social media is going to help you do that. Name it a barbecue party or even Christmas party and create brand awareness in that party by inviting the professionals and your target audience too. The technique of content marketing is one of the hottest trends when it comes to brand awareness but there are a few companies who haven’t jumped into it yet. So, if you genuinely want to market your brand then get into content marketing and trust me, you are going to be successful in it. The benefits of it are numerous and blogging or writing content related to your services is one clever move that can help you generate leads like nothing else. It is one of the most tried and tested techniques and we haven’t heard of companies failing in it. The one major thing that needs all of your focus is the content you write or get written, it matters a lot so make sure it is appealing and attractive. 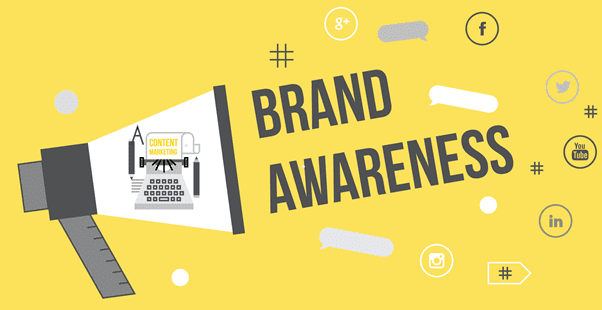 Content marketing and video marketing are the best combination when it comes to brand awareness. You simply can win millions of hearts and draw potential customers towards yourself if you opt for video marketing. You can publish those videos on social media channels and reach your target audience easily. Putting extra effort in making videos for your brand is also going to give you some amazing results. But then again, your content can make you or break you, just be careful on what impression you put on your clients. This is it for now. There are so many other brand awareness techniques too and we will discuss them in our upcoming articles. Stay connected and keep reading because we’ve got a lot more to talk about.